Oliveira’s Win Over Lentz at UFC on Versus 4, Changed to ‘No Contest’? The Pennsylvania Athletic Commission (PSAC) is still undecided on whether to declare the Oliveira vs Lentz fight a "no contest" or not. During the UFC on Versus 4 event at the CONSOL Energy Center last Sunday, Charles Oliveira took the victory after giving Nik Lentz’s head an illegal knee on the second round. The fight’s referee was not able to witness the said foul, but some witnesses claimed that the former’s knee was just an accident. Due to this issue, the monetary award that is supposed to be given to Charles Oliveira has been hold by the UFC. Although they know about this plan, Greg Sirb pointed out that they have no idea of how much money Charles Oliveira won, since they don’t obtain winnings for their fighters. What the PSAC exec can only share is that both fighters were granted $50,000 each for the “Fight of the Night” bonus. PSAC concluded that if ever a foul affects the results of a game, then it is possible for them to declare the match as a “no contest”. If this happens, Charles Oliveira would never have the chance to receive his win purse. Meanwhile, Greg Sirb is still thankful for having a successful event last Sunday. He said that referee Chip Snider was a professional one, so there’s no doubt that he would likely to ruin the game. “No problem. Missed call possibly, but I thought everything was handled very well – particularly, ‘Big’ Dan (Mirgliotta) in the main event”, the PSAC executive director said. 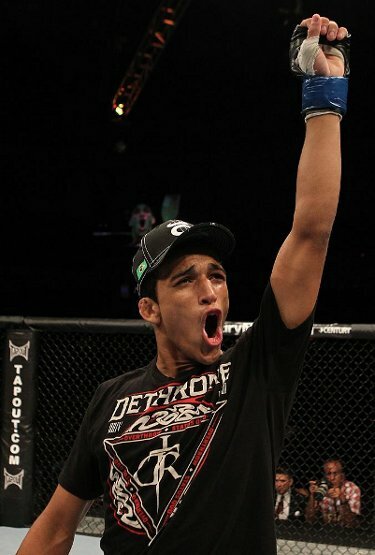 Charles Oliveira: Moving to Featherweight?